John Reid hut. Standard 6 bunk hut. Water in small stream 20m towards toilet. Superb sunrises! John Reid Hut • By macca. Licence: C.
Take the main track from Rolling Junction (start point for Wangapeka track, going west). After 2.5hrs you reach the swing bridge to turn left to Kings hut, turn right and cross Kiwi Saddle stream. 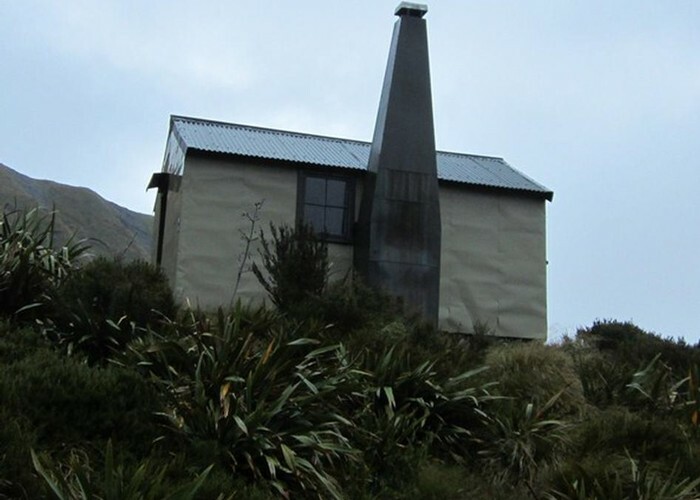 A further 3.5hrs will take you to Kiwi Saddle hut. From there take the track to Mt. Patriach and when on the ridge take the left trail away from the peak to John Reid Hut, (approx. 4.5hrs from hut). Alternative route is to cross Wangapeka river 2km back from car park and up Chummies track (4hrs). Added 27 September 2011 by iangeorgeiangeorge. 2 revisions, most recently 3 March 2015 by deepriverdeepriver. 209 views in the past year (17 per month).